Cad Designers – LPCB Basic, Intermediate, and FHC, FM, NFPA experience. School leavers who are interested in a career in Fire Protection. Graduates with a background in Marketing, Engineering, Cad Design. 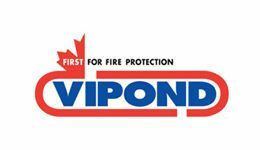 Vipond Fire Protection is committed to promoting an environment that encourages and fosters success and future growth for each employee. We currently employ a highly effective team of more than 92 individuals across the UK, all devoted to the growth and success of the company. At Vipond Fire Protection we know that happy staff means retained staff. We recognise training as essential for developing individual skills and increasing job satisfaction. 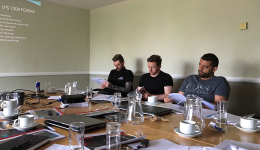 We also recognise that training should not be exclusive to a new-starter and that workplace training is always relevant, regardless of seniority or time in service. With different employees at various stages of their careers, there is no such thing as “starting too early”. Knowledge and practice gained through employee development will be invaluable as individuals develop and grow with the company. We respect that interactive development of leadership, professional skills and personal interests creates a stronger overall understanding of the business so as to make strategic decisions. Vipond are constantly looking for committed individuals of the highest calibre to join our expanding team. From on-site training to University Degree courses, we will ensure you are provided with the right support and training to fully develop your potential. A career with Vipond provides excellent opportunities for personal and professional growth and great opportunities to progress within a positive working environment. If you feel that you have the right attributes to join us please complete the form below and attach a current copy of your CV.